Here’s one definition of genius: figuring out a way to receive college credit for going to Disneyland or Walt Disney World. Now, that’s smart. You laugh, but there’s a way to do it, and 16 students from Grand Canyon University will have such an opportunity next spring. They’ll be part of the Disney College Program, an internship that includes a job, course studies and (naturally) some built-in fun. A dozen will go to Disney World in Florida and four more to Disneyland in southern California. “Only in (this program) can you mix entertainment, education, on-the-job experience and networking with executives — while you’re still in college,” says Ryan Perkins, a GCU junior who participated in the program two years ago at Disney World when he was a community college student. The Disney program is an example of a larger push by the University to place its students in internships — and not the kind where you fetch coffee and sort mail all day. 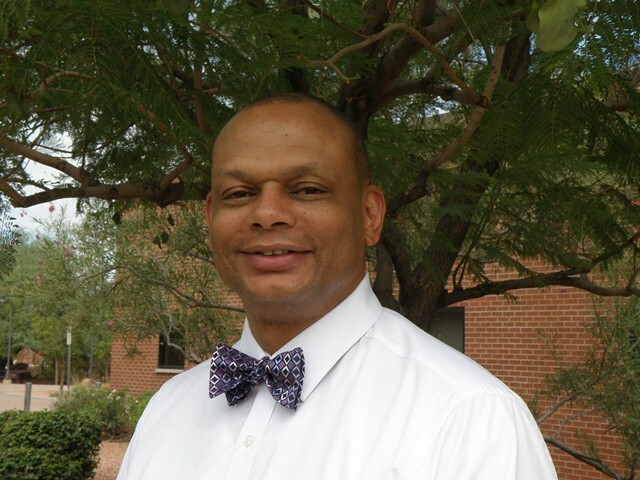 Marquis Scott, the new director of internships for GCU’s Ken Blanchard College of Business, was hired to make the business-world connections that lead to real-world experiences for students. He’s off to a fast start. By Scott’s count, he has introduced himself to 55 businesses and organizations and has relationships with half of those. The list includes such recognizables as Quicken Loans, Johnson & Johnson, Target, Enterprise Rent-a-Car and Arizona Public Service. A dozen GCU students are working at internships this fall, and four are interviewing this week for the Arizona Legislative Internship Program. He has met with more than 80 interested students so far. “My job is to make them aware of opportunities and to make the opportunities aware of our students,” says Scott, who brought experience as a teacher and with the U.S. Census Bureau to GCU. Scott says an estimated 30 percent of college students work internships before graduating, giving them a leg up in an increasingly competitive workplace. At Disney World, Perkins says he took two courses for credit: corporate analysis and marketing. The former supplied an in-depth examination of Disney and its successes and failures. The latter used guest speakers to illustrate the company’s best customer-service and marketing practices. “I have more contacts at Disney than I know what to do with,” Perkins says. That’s what Scott likes to hear, because finding a job involves who you know and what you know. For more information about the GCU internship program, email Scott at internships@gcu.edu.